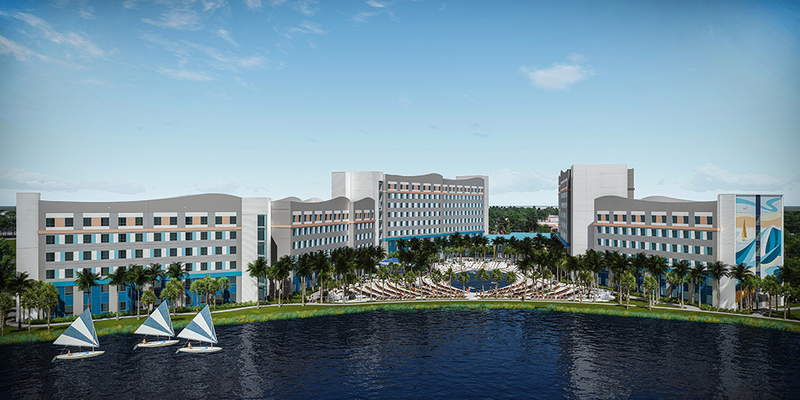 At the end of last year, Universal showed off some plans for their largest hotel project yet, with two resorts in the plans. The "Endless Summer Resort" has began to take shape in the previous Wet n' Wild lot. New pictures from twitter show a wider view with an impressive amount of floors already completed, as well as the emergency stairwell, which is in use currently by construction workers. 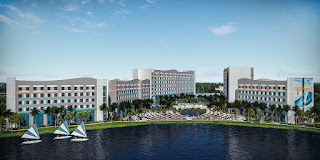 Just like Universal's other Hotels and Resorts, these are also partnerships with Loews Hotels, but with a price tag starting at just $73 per night. They are off-site from the current Universal-parks lineup, but with a Universal Studios expansion rumored, they will be a nice halfway point between the new area and current parks.